Dr Jane Clayton is a cultural historian and lecturer in the University of Liverpool’s School of Architecture. Having completed a BA (Hons) in History and Politics at Durham University and an MA in Journalism Studies at Cardiff University, she returned to her native North West in 2009 to study for a PhD. Based at the Centre for Architecture and the Visual Arts (CAVA), her research was an AHRC-funded Collaborative Doctoral Award, held in partnership with FACT (Foundation for Art and Creative Technology). She completed her PhD in 2012 and, following a short stint as a research assistant, she has returned to Liverpool for her first lectureship. With a varied academic career to date, Jane’s research interests are broad and interdisciplinary, and she has a particular interest in cultural activity, policy and funding. She is passionate about public engagement and collaboration, and has experience of working with art galleries, national museums and large cultural organisations in both a research and educational capacity. Her research continues to focus on the changing cultural policy environment in the UK and its impact on communities. 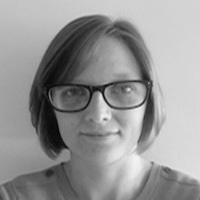 Alongside teaching in the School of Architecture, Jane has experience of supervising postgraduate research students, and has organised two international conferences, Rewire (Liverpool, 2011) and Football 150 (Manchester, 2013). She is a consultant historian for the Football Association, with her research featuring on the Radio 4 documentary ‘The Father of English Football’, and she is guest editor for a special issue of the Soccer and Society journal.